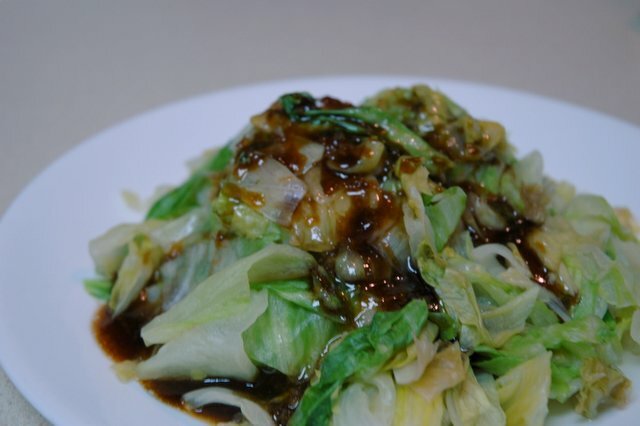 It is my favorite veggie dish, not sure about using lard though...btw, my mom is into using vegetarian oyster sauce, it taste just as good, but without the fishy smell of the real oyster sauce. Oh lard is sooo good, ha! Try frying anything in lard. The air will be thick with this rich aroma...kinda bad if you have an open kitchen. But it smells soooo good! I used to use veggie oyster sauce. But I am starting to revert back to the real thing. I think it has more flavor. It does smell fishy by itself. But if you cook it with other things it adds flavor, not unlike fish sauce.